Outback Steakhouse will be offering free Bloomin' Onion appetizers with any purchase tomorrow, January 3, 2017. Just mention "Outback Bowl." 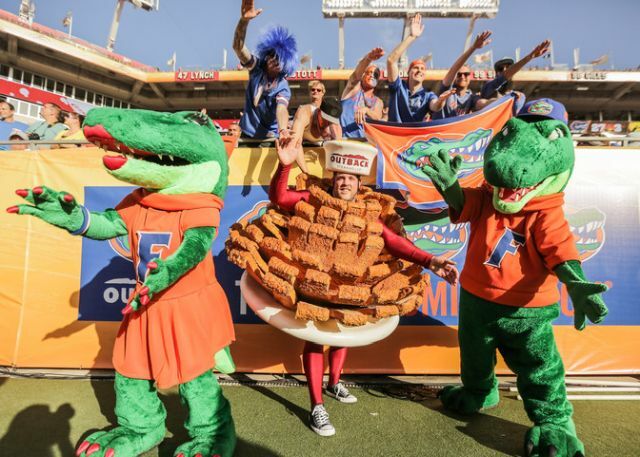 The deal is the result of Outback's annual sponsorship of the college football Outback Bowl, which, this year, featured the Florida Gators against the Iowa Hawkeyes. The gist of it was if the Hawkeyes had won, Outback would be giving out Coconut Shrimp with any purchase and if the Gators won, Outback would give out Bloomin' Onions. The Gators won in the game today. This year marks the fifth year that Outback has run the promotion. Last year the chain gave out over 91,000 Bloomin' Onions.